State building and fire codes, insurance regulations, and OSHA standards require emergency lights in buildings that serve the public. Stairwells, hallways, interior rooms with no windows, interior and exterior entryways, and elevators are all areas where emergency lights keep people safe. Emergency lights are specifically used for saving lives. They are not just for public spaces, but can be invaluable for your home as well. When the power fails, no matter the reason, the dark is not where you want to be. Texas Fire and Safety offers high quality emergency lighting for indoor and outdoor use, all powered via no-maintenance batteries, meeting all emergency lighting code requirements. Emergency lights are tripped into service by an interruption in electrical power. Once activated, the bright spotlights will illuminate the primary egress, enabling your employees to find their way out or be visible when help arrives. OSHA regulations state that every exit in a building be marked with an exit sign. 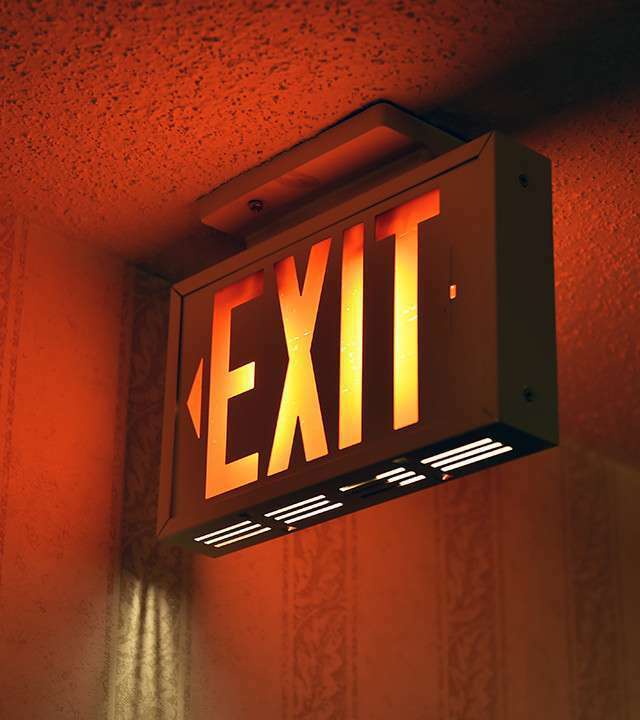 The variety and combination of exit signs and emergency lights can be overwhelming. Just like emergency lights, exit signs are designed to save people, not property. Many of the features offered by manufacturers enhance the function of the sign, and some are simply aesthetic, like choice of frame color. However, there are regulations that state the color of an exit sign must be distinctly different than the background colors so they are more easily seen. 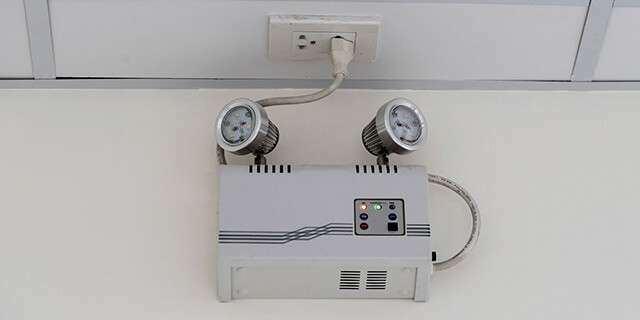 Emergency and security lights may also be activated by the detection of motion and are favorable in areas where top level protection is the best defense. Call Texas Fire and Safety for a quote on new equipment. Our knowledgeable engineers are able to suggest the state of the art equipment to best fit your business and budget. When an emergency strikes, you want highly visible emergency exit signs. You want easy to follow fire exit signs, and functioning emergency lights to keep your people from panicking as they hunt for a way to safety. Texas Fire and Safety carries a complete line of products to fit all signage and lighting requirements your company must fulfill to be compliant with local, state, and federal regulations. Our factory-trained technicians install, inspect, and service emergency lights and exit signs in accordance with all National Fire and Protection Association (NFPA), International Code Council (ICC), and OSHA codes. 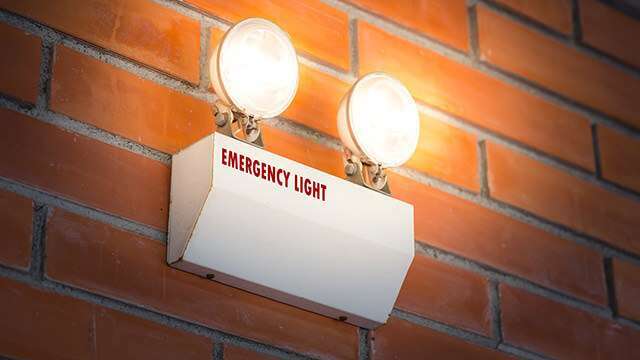 Emergency lights and exit signs often go hand-in-hand, however you can have one without the other. There should always be emergency lights near an exit sign, but there will not always be an exit or exit sign near an emergency light. NEVER BLOCK EXIT OR FIRE EXIT SIGNS! It is always good to keep the entire environment of your facility in mind when choosing exit signs. A feature needed for one area may not be needed in another. 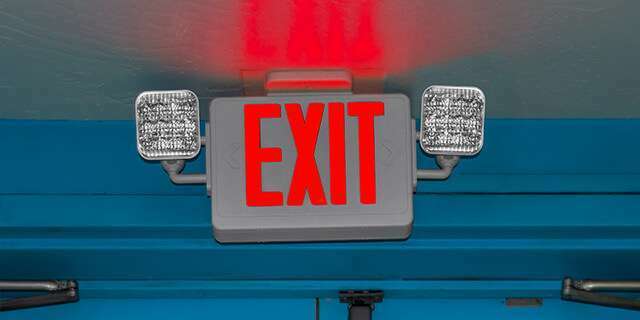 It may be more cost-effective to install various kinds of exit signs. The best practice for many facilities is a mixture of two or more of the items listed above creating a custom system that will meet or exceed your company needs and last for many years. A vital link in the chain of survival in an emergency is the exit route. A protected pathway with easy access leading to the actual exit. This path should be well marked showing all emergency exits. There should be at least two exit routes within a work space, preferably as far apart as possible from each other in the event one exit is blocked, the other may be used safely. Never clutter or block an exit route. Doors used for daily entering and exiting a facility are denoted by entry or exit signage. Emergency exits are often posted with signs stating they are to only be used for emergencies. Special doors with alarms or even windows may be assigned for emergency egress from a facility. If a main exit is blocked, emergency exits may be utilized. Check your emergency exit signs often for tampering. Just as important, make sure that doors along an exit route not leading to an exit are marked Not An Exit. 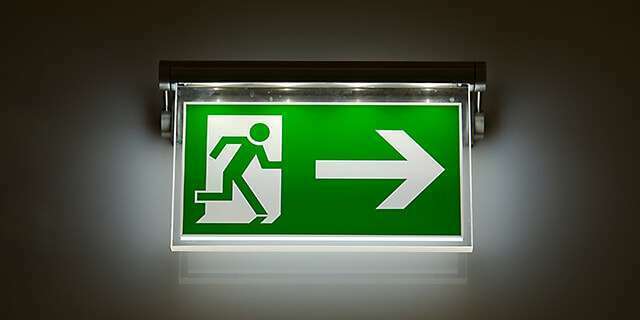 Texas Fire and Safety is your all-in-one supplier for emergency lighting and exit signs.